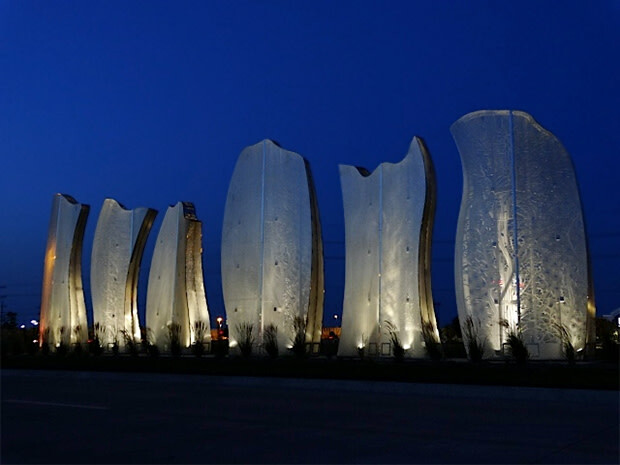 This illuminated sculptural installation creates a contemporary gateway to the entrance of the City of Salina, Kansas along the 9th Street Median Corridor. 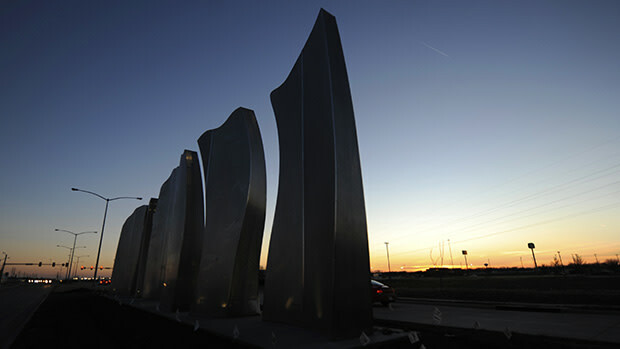 The sculptural forms of the art work were inspired by Artist Barbara Grygutis’ impression of the distinctive shelter belt trees which dot the Kansas landscape. 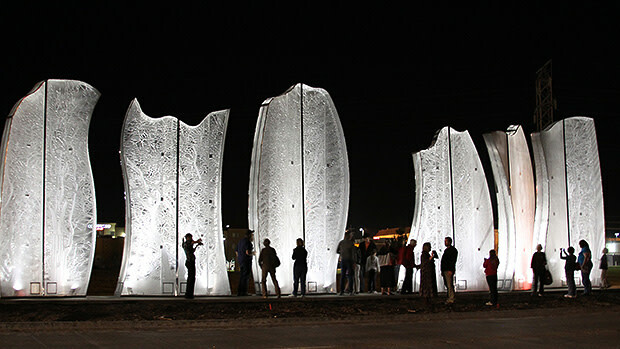 The combined use of laser cut and semi-transparent aluminum mesh in this piece creates an interactive, luminous visual effect both day and night. 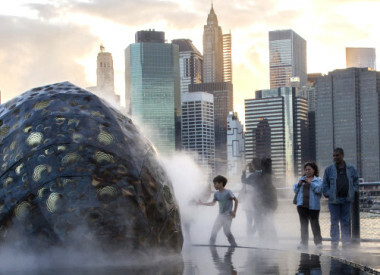 Set on a photo cell, the sculpture radiates soft light from within at night. 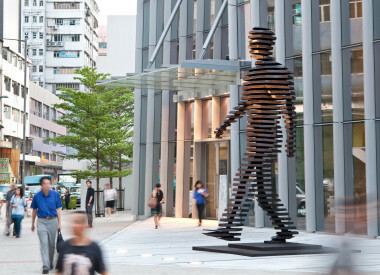 It was important that this sculpture felt accessible yet unexpectedly engaging to both locals and visitors alike despite its somewhat challenging location in a busy highway median. 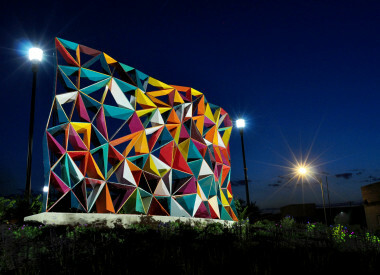 The artwork needed to not only integrate into the city’s infrastructure, but also be inspiring and relative to the existing Salina community. 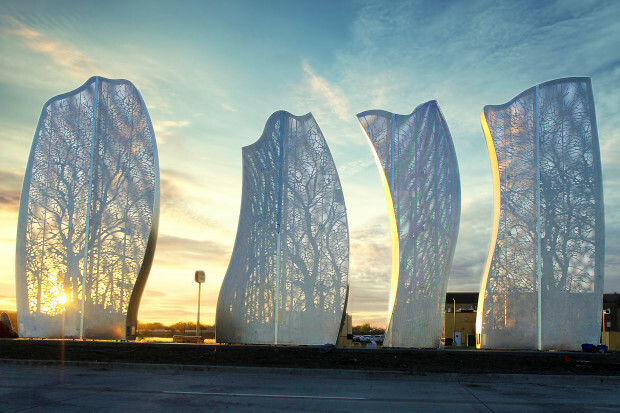 The result was sculptural forms drawn from the Salina’s local agrarian history—the hauntingly beautiful shelter belt trees silhouetted against the horizon as seen by the artist in winter. 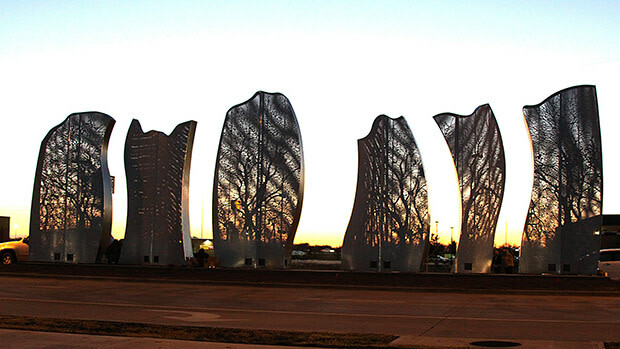 The tree forms then had to be translated into durable and low-maintenance laser cut aluminum. 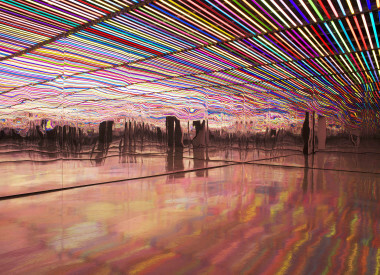 The semi-transparent sculptural encasements deflect both natural and artificial light around the tree forms within, ever-changing within a 24-hour framework. 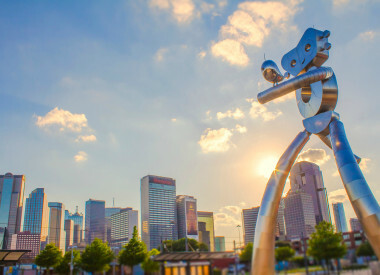 In these ways, DAWN’S SILVER LINING acts an identifier, a marker inspired by the landscape, a contemporary art statement creating a welcoming beacon to the city. 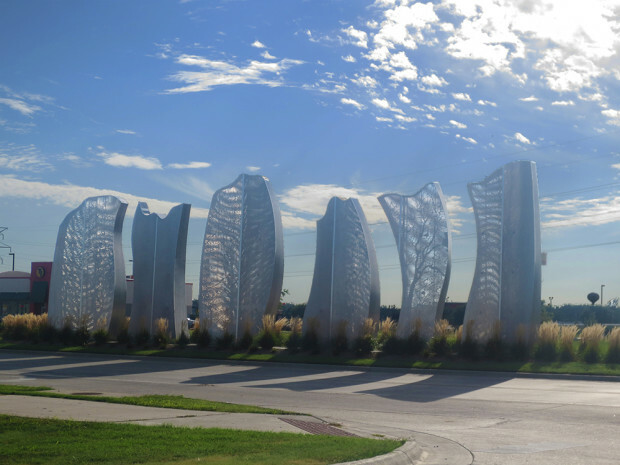 Because this art work was commissioned by the City of Salina Kansas Arts and Humanities Commission to exist as permanent artwork in the center of a busy median, engagement with numerous public and civic entities was essential. This included a project site committee, engineers, architects, fabricators and many others. 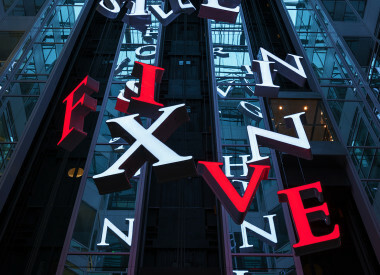 From initial concept and planning stages, to fabrication and installation, it was necessary to ensure relevant critical stake holders were as well informed as possible. Effective communication and collaborative efforts between Grygutis, the City of Salina, and all those involved was key to the success of this project.